Suri & Katie were spotted enjoying an ice cream in New York on Wednesday, 24. Suri is wearing Red Lady Bar Shoes by Jacadi. Suri & Tom leave their Manhattan residence and then are spotted heading to the Heliport in New York City on Sunday, 21. 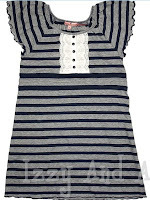 Suri is wearing Stripe Sweater Dress by Juicy Couture again, first time she wore this dress on June 28. Suri is wearing Frances Flat Shoes in Navy Blue Suede by Flora and Henri. Suri & Tom visit Build-A-Bear Workshop on Saturday, 21. The BAB workshop is the largest create-your-own animal service that sells customizable teddy bears and other stuffed animals. To see how you can build your own bear, visit BuildABear.com. 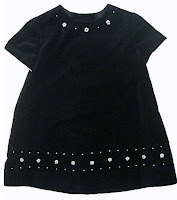 Copy-Cat Outfit: Toddler Black Velvet Dress by Luli and Me. Cruise Family was spotted out & about in New York on Wednesday, 17. 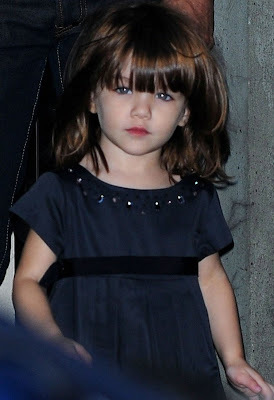 Suri is wearing BEBOP Dress and Silver Ballerina Shoes, both by Bonpoint. Suri & Katie were seen leaving their apartment in the Big Apple and heading to Katie’s final rehearsals at the Gerald Schoenfeld Theater on Thursday, 18. Suri is wearing Silver Ballerina Shoes by Bonpoint. (for more info see previous post). Tom carries daughter Suri into their waiting SUV after arriving by helicopter in New York City on Tuesday, 16. 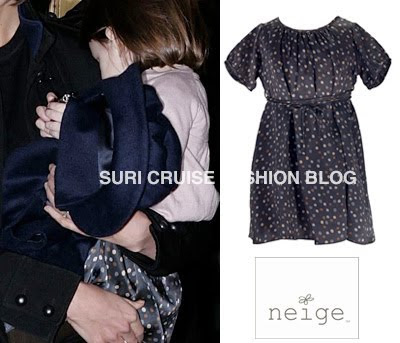 Suri is wearing Silk Kaitlyn Dress by Neige, which she first wore on January 16th 2008. Suri & Katie were out to see "Fellas" on Thursday, 4. Sri is wearing Navy Striped Dress by Juicy Couture. Suri & Katie were going back to their New York City apartment after spending evening at Chelsea Piers on Wednesday, 3. 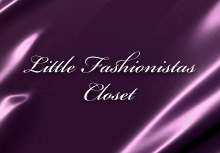 Suri is wearing Striped Dress by Splendid Littles. Suri & Katie take a leisurely stroll through New York City on Tuesday, 2. 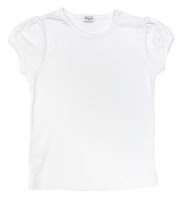 Suri is wearing White Puff Sleeve Tee by Splendid Littles.